Do the most used browsers have similar security? I read that Pwn2Own stopped attacking Firefox, apparently because it didn't make "serious security improvements" since the last competition. Should I understand it as "Firefox is significantly more vulnerable than other browsers", or can I continue to use it safely? Is there currently any big difference in the security of Chrome, Firefox, Edge, Opera and Safari? I know all the advices one must use to stay secure on the Web. I'm just not comfortable using a browser that could easily be exploited. The SameSite cookie flag is a countermeasure against CSRF. Currently Chrome and Opera are the only browsers that support it. For an extreme example, there is Chromodo, a customized version of Chrome that disables some important security features. So it definitely matters which browser you are using, but it may not be possible to objectively say one browser is "more secure" than another. Opera was the most secure and Firefox the most unsecure since many years ago. Chrome is somewhere in-between. Although Opera also switched to the standardized GUI, it is still the most secure browser. So to answer your question, yes, there is big difference when it comes to security. But one thing you can to for all browsers is increase the security with add-ons (plug-ins, extensions, etc - each one calls them differently, but they are the same thing: additional modules). 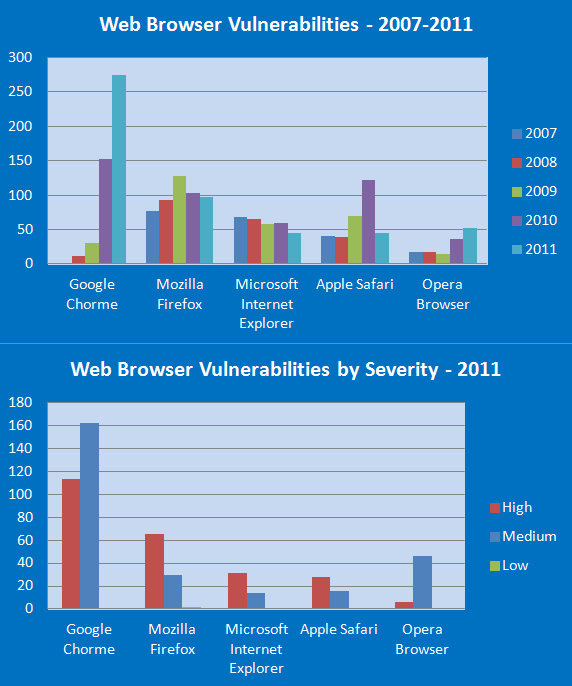 Is finding vulnerabilities in the major browsers easy or not? Why do browsers have no built-in features to verify the integrity of downloads? Why do most browsers store browsing history by default? How do the antivirus safe browsers work?